We are delighted to announce that we have recently won the BUILD Construction & Engineering award of 2018 – the Best Building Surveying Company. 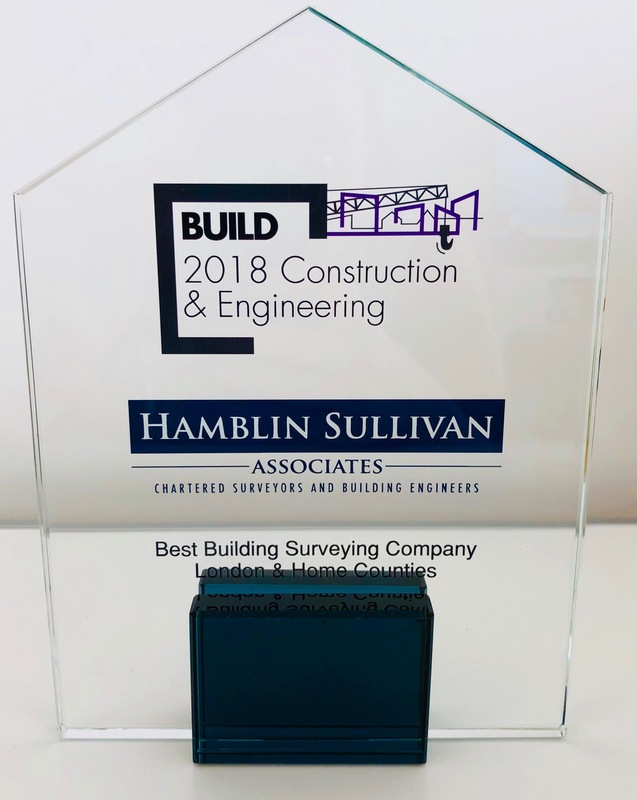 Having being recently accepted within the annual Construction & Engineering Awards Program, the judges deemed Hamblin Sullivan Associates successful in being the ‘best building surveying company in London and Home Counties’. t expect to say the least! BUILD’S Assistant Awards Manager (Laura Hunter) has stated that our “success is an unmistakable achievement, a true testament to your contribution to the industry”. It is great to hear such kind words regarding our consistent works within the building and surveying industry and great to know that our work is not going unnoticed. Having won the award we are happy to announce that we will be releasing an official press release with BUILD and are also set to be included within their online directories as well as being a part of the annual celebratory magazine. With the directors at Hamblin Sullivan Associates all being chartered surveyors, RICS registered valuers, building engineers and project managers. Our success is undoubtedly down to the hard work and dedication of all of our directors. 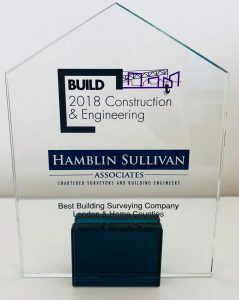 We would like to thank everyone involved that has helped towards the success of the award and here is to many more successes for Hamblin Sullivan Associates!